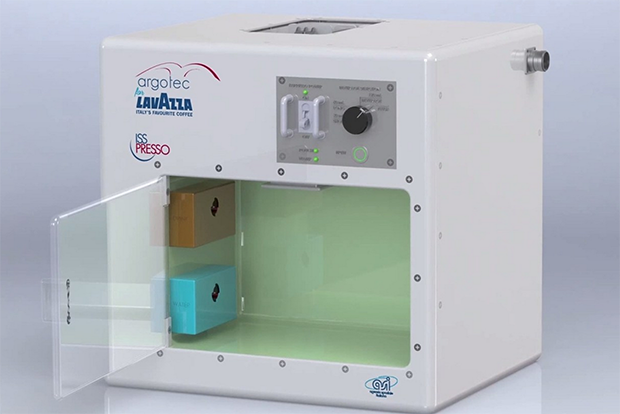 Astronauts have traditionally had to make do with freeze-dried foods and powdered beverages, but they'll soon be getting some premium roasts on the International Space Station. Elon Musk's private rocket company SpaceX is planning to send an espresso machine to the men and women who orbit Earth. The ISSpresso machine was designed by Italian coffee purveyors Lavazza and it's been designed with all of the difficulties of zero-gravity in mind. Much like your office coffee machine, they envision it as a social hub as well as a place to get a quick pick-me-up. In other SpaceX news, the ambitious company just missed landing a rocket on a floating platform yesterday.